We all have a handful of bottles that are cornerstones of our vinous education. They are not implicitly the best; instead, these bottles enlighten our palates to the pleasures of a particular region or producer. One of mine is the 1990 La Dominique, which was served at a dinner during an early foray down to Bordeaux. It opened my senses to the joys of Saint-Émilion, its intoxicating bouquet of plush red fruit and velvety palate thrown into sharp relief by the preceding austere Left Bank Cabernets. I visited the property on my next trip and enjoyed a guided tour with winemaker Axel Heinz before he upped sticks to manage Ornellaia. All of this means that I have a sentimental attachment to La Dominique, not unlike the fondness we feel for our favorite schoolteacher or childhood chum. Unfortunately, over the years that followed, I never found a bottle that replicated the thrill of that 1990. Too often I found shortcomings: occasionally overripeness or sometimes perplexing greenness. It was difficult to reconcile a wine that was close to my heart but often left me crestfallen, like falling for the girl who can’t help letting you down. Earlier this year, the Gwendeline Lucas General Manager at La Dominique, asked if I would revisit the property for a vertical tasting. Despite my recent tepid reviews, I wanted to investigate the reasons for my dissatisfaction. Had I missed something? Or was it something they were missing? I forewarned Lucas that I must be honest about my opinions, and that I approach all tastings with an open mind, so their invitation might simply validate my concerns. Nevertheless, she accepted my terms, and we arranged a date. In the 17th century, the Glenne family owned the estate known as Durieu. The original Belleyme maps of 1785 indicate that vines were planted in this location at a time when surrounding land was used for cereal crops and pasture. In 1690 the property was renamed Dominique by Jacques and Isabeau Micheau. In 1841 Le Producteur named the merchants Chaperon as the owners of La Dominique, which is unsurprising given that during this period they also owned L’Evangile, over the border in Pomerol. Henri Greloud added the definite article “La” in the mid-19th century, purportedly because he adored the Caribbean island of Dominica, or La Dominique in French. Greloud founded Château Lafleur in Pomerol and, according to the 1868 edition of Féret, also owned La Closure and Daugay. The Soualle family were proprietors for an interim period, and then from 1933, the de Bailliencourt family presided over La Dominique as well as Gazin. They sold part of Gazin to Pétrus in 1969 and at the same time parted ways with La Dominique. “La Dominique was purchased in 1969 by Clément Fayat,” Lucas told me before we commenced the tasting. At that time, the estate was ostensibly just a manor home surrounded by a few vines, and perhaps for that reason, along with the fact that Fayat was a very busy industrialist, there was little investment at the property until he was encouraged by other winemakers. I wanted to discover a little more about the Fayat family. The vineyard is located directly east of Cheval Blanc, with Château Jean Faure on the other side. 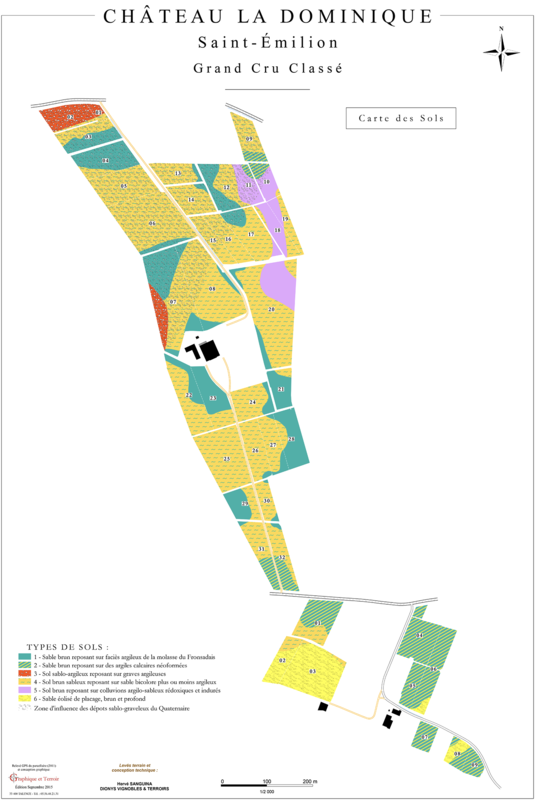 Its proximity to Cheval Blanc is deceiving because the terroir is different. Only about one-quarter of the vines are sited on gravel, while much of the rest grows on sandy soils with siliceous limestone debris over clay subsoil. 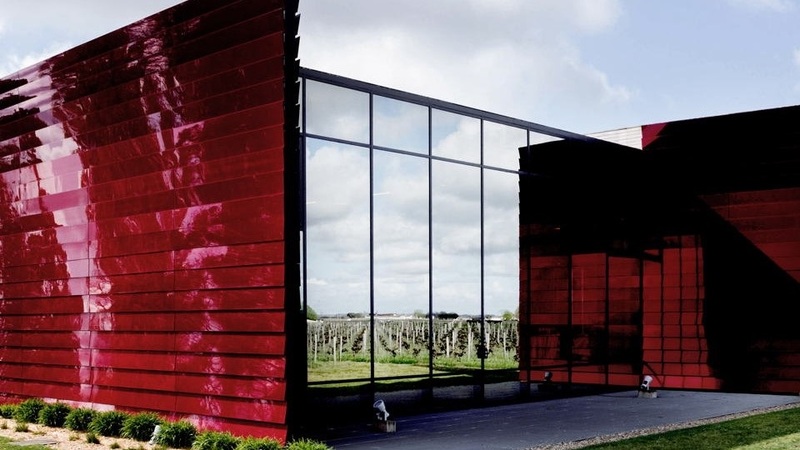 The winery was overhauled in 2012, to a design by architect Jean Nouvel. To quote the estate themselves, it’s a very modern, visually striking facility. Compared to the undulating curves of Cheval Blanc, which blends in with the landscape, La Dominique is designed to stand out with its iridescent, bold red metallic exterior, apparently in six shades of red. The restaurant on the upper floor, La Terrasse Rouge, is a popular stop during the en primeur week. 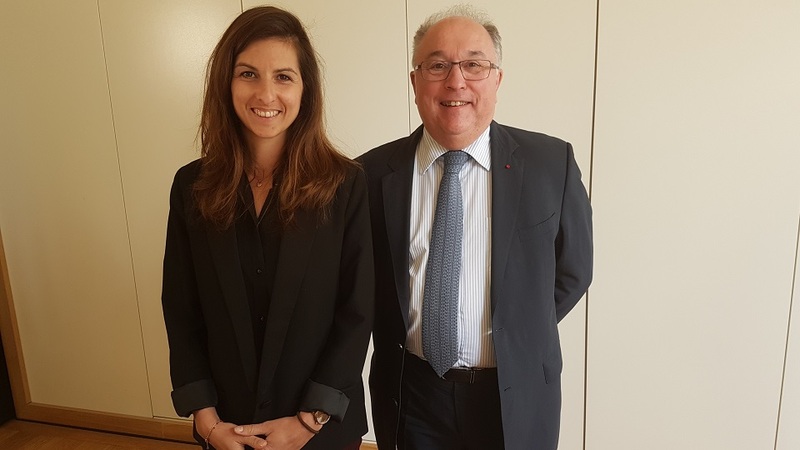 Between 2007 and 2009, Jean-Luc Thunevin was hired as a consulting winemaker, although the relationship with Michel Rolland stretches all the way back to 1977, which in my mind would make La Dominique one of his first clients. The estate’s grapes go through multiple stages of sorting. The first is by hand at picking, when the grapes are transferred to the winery in 35kg crates. There is one sorting at reception using a vibrating de-stemmer manned by two people checking the bunches, then a sorting using a Tri-baie machine, and a final sorting on a vibrating table manned by six people and a dozen beady eyes. The vat room operates by gravity, the wine fermenting in 22 temperature-controlled 73-hectoliter vats in a truncated cone shape that allows gentle extraction. The wine is then transferred into barrels sourced from five or six cooperages, depending on the vintage, but mainly from Taransaud, Sylvain and Baron, with less than 50% new oak and the remainder one year old. The barrels include both traditional 225-liter and larger 400-liter barrels with medium toasting. The total duration of élevage is around 16 months. “We have a clay amphora and two polymer-lined concrete eggs just for trial,” Lucas explained. “We’ll see how they perform. I want to evolve in terms of oxygenation during barrel maturation, so we transferred some lots from the same parcel into barrels, concrete eggs and amphora to compare the results. Up to around 60% of the production goes into the Grand Vin, and the remainder is bottled as the second label, Relais de la Dominique.” Previously, the second label was called Saint-Paul de Dominique, although I recall Heinz telling me that they once produced another cuvée called Château Saint-Domingue, which I have never seen myself. This vertical of La Dominique was one of my most enjoyable tastings of 2018, not necessarily in terms of the wines themselves, but because of the exchange of views they prompted. It’s rare to engage a general manager in candid discussion, verbally deconstructing and analyzing the strengths and weaknesses of each wine, pulling no punches and remaining objective. Every vintage teaches you something; it’s up to us whether we choose to learn from it. Though in the end this tasting did confirm my prior opinion of La Dominique, I came away understanding more about the property. But if you take a cursory glance at my scores, it’s obvious that even allowing for the vagaries of growing season, there is inconsistency – and moreover, inconsistency not necessarily correlating to vintage reputation. This can be damaging because it causes consumers to lose faith in a producer. It’s not that they expect every vintage to be superlative; however, a substandard wine tarnishes a château’s image for longer than a single season, particularly when disappointment coincides with a relatively unproblematic vintage. For this very reason, the top Bordeaux properties have prioritized consistency, so that nowadays only a really terrible growing season seriously impacts the final wine. This is down to improved vineyard husbandry, ruthless selection (through the use of optical sorting machines), the ability to blend varieties (unlike Burgundy), and cleaner, more hygienic wineries. Which are the vintages that besmirch this Saint-Émilion’s reputation? In the naughty corner are the 2008 and the vexing 2009 La Dominique, the latter bereft of vivacity on the nose and, though the palate makes amends, simply not good enough. The 2012 La Dominique could have been better but lacks cohesion on the finish. Among the older vintages, the 2002 La Dominique comes from a difficult growing season but still lags behind its peers, coming across rustic and mean. The 2003 La Dominique is only slightly better. The 2006 is average and forgettable and the 2007 simply rather dour. There are positives. The 1989 and 1990 La Dominique have held up well, so long as you don’t compare them with their next-door neighbors. 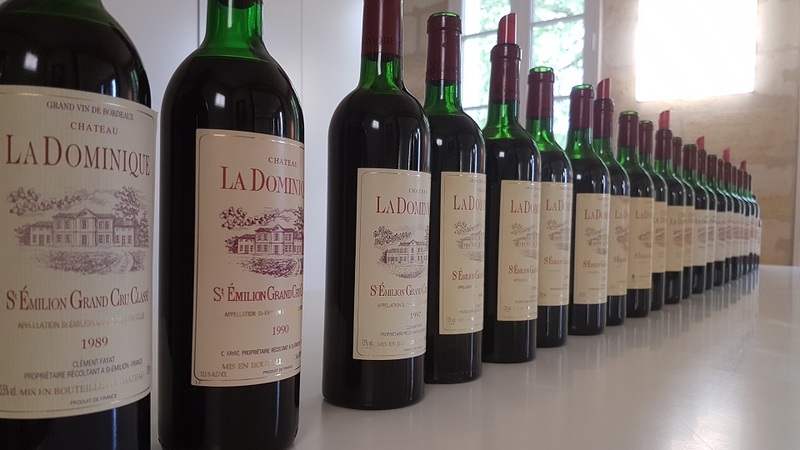 The 1998 La Dominique has blossomed into a lovely Right Bank, while both the 2000 and the 2001 show extremely well, the former leaning toward Pomerol in style. The 2005 La Dominique is solid and convincing, and the 2010 shows the 2009 what could have been. Finally, the 2015 La Dominique compensates for a lackluster 2014 with a lovely rounded texture and ample fruit. Such pendulum swings in quality indicate a property that needs to figure out who it is and what it wants to be, so that it can settle upon a modus operandi that is adaptable to changing seasons. Lying adjacent to Cheval Blanc must invite constant comparisons with your neighbors; why not aspire to match them? But that contiguousness obscures the fact that the two estates occupy very different terroirs. In order to compensate, and advantaged by deep-pocketed owners, there is a temptation to try different techniques. Yet I can’t help feeling that La Dominique should just be happy being La Dominique. Every château must accept that terroir is unevenly distributed, and no amount of cash lavished on an estate can alter that fact. Biodynamics or the use of amphorae, for example, may make cosmetic changes to the wine, but more fundamentally, La Dominique must ensure that phenolic ripeness is achieved year in, year out. Moreover, I’d like to see more personality in the wines. Some vintages just felt static and – for want of a better word – soulless. I’m optimistic that La Dominique can attain consistency and find that much-needed personality. It may require some ruthless parsing out of less propitious parcels, so that the Grand Vin becomes a kind of "Tête de Cuvée”; this might not please the accountants, but I don’t think the Fayat family is short of money. Lucas’s openness and self-criticism demonstrated exactly the right attitude of putting pride to one side and addressing areas that can be improved. 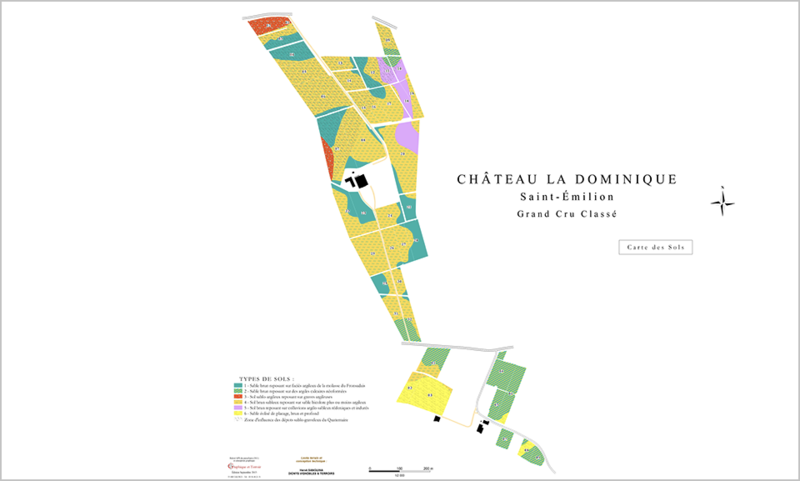 Despite my negativity, there were enough positives to show that La Dominique has the potential to become a Saint-Émilion/Pomerol border estate that offers the best of both worlds. And after this tasting, well, I still have a soft spot for La Dominique.